Rugged and regal with rigidity, these Timberland PRO Men's TiTAN 40044 Black Oxford Alloy Toe Work Shoes are built with the durability of a work boot and the style of a comfortable oxford shoe. When it comes to safety, these TiTAN shoes have all the classic hall ... (see full details) (see specifications) #TMBTB040044001. Rugged and regal with rigidity, these Timberland PRO Men's TiTAN 40044 Black Oxford Alloy Toe Work Shoes are built with the durability of a work boot and the style of a comfortable oxford shoe. When it comes to safety, these TiTAN shoes have all the classic hallmarks of the Timberland PRO line. First you'll greatly appreciate the alloy safety toe that meets national safety standards. With this feature, you will be able to avoid common work accidents involving injury to the feet. Next, these safety toe shoes provide you with electrical hazard protection, guarding you from injury from open electrical circuits up to 600 volts in dry environments! 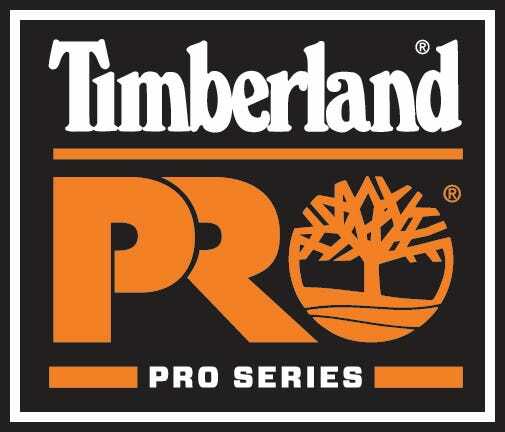 The Timberland PRO Rubber Outsoles are also slip-,oil-, and abrasion-resistant. To avoid injuries related to repetitive stress or just plain old sore feet, this work shoe design also offers you black full-grain leather construction which include the Timberland PowerFit comfort system. The PowerFit system includes a durable cushioning in the molded heel cup within an open-cell polyurethane footbed. The spacer mesh in these antimicrobial shoes is lined with treatment to help control odor and keep your working feet comfortable. Another comfort feature of these black shoes are nylon diffusion shanks for additional support.The removable footbed includes Outlast Adaptive Comfort technology to keep the temperature of your feet regulated, keeping you cooler and more comfortable, and the high-rebound heel insert gives you durable cushioning and much deserved energy return. These alloy toe shoes have a 30-Day Comfort Guarantee. If they aren't as comfortable as the work boots you're currently wearing, return them within 30 days for a refund of the purchase price. Trust the Timberland PRO TiTAN 40044 Black Oxford Alloy Toe Men's Shoes for multi-dimensional protection and comfort for your demanding profession. Order your Timberland TiTAN work shoes today! These are the most comfortable work shoes i have ever purchased. company allows one pair of work shoes per year. I have 7 pairs of these shoes and they all are in good condition. Very safe dosent slip, composit toe seems as secure as steel but much lighter and the shoe looks good. I've worn out several pairs of these shoes over the years & really liked them. I am very disappointed in the latest pair I bought. They fit great but the slip resistant & oil resistant sole is very slick when on wet surfaces. I work in an auto repair shop where water &/or oil on the floor is common. The soles on all the previous pairs I've had were not slick & worked very well on wet shop floors. The manufacturer may have changed the rubber sole formula because these are dangerous on wet surfaces. I have almost fallen several times. These are the most comfortable work shoes i have ever purchased. My company allows one pair of work shoes per year. i have about 7 pairs of these shoes and they all are in good condition. dosent slip, feels great, and very solid and safe. These are the best boots Ive ever owned....period. Ive had mine for over a year now, and when it comes time to get new boots, Im going to get these again. Timberland has a winner here. This boot is lighter than all the non steel toed boots Ive had. Well giddy up and grab a pair or two! Timberland PRO Boots: Men's TiTAN 40044 Black Oxford Alloy Toe Work Shoes is being added to your cart.